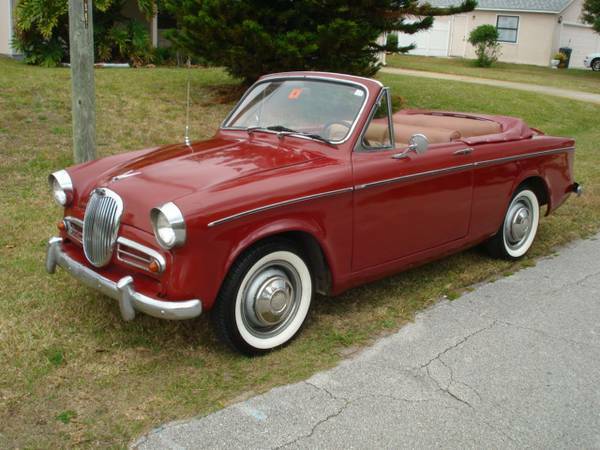 The first and second generation Singer Gazelle was an Rootes group sedan/estate/convertible that was built on a shared platform with the Hillman Minx. The Gazelle is the car to get if you want more people asking "what is it" than instead of saying "I had one back in the 60s." 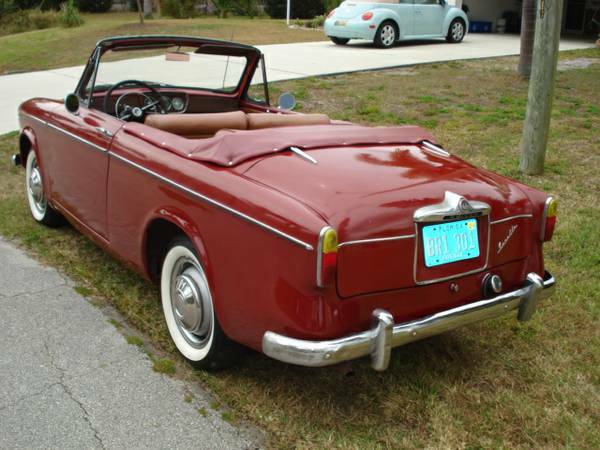 Find this 1959 Singer Gazelle convertible offered for $9,500 in Sebastian, FL via craigslist. Seller submission from Dave. The Gazelle was not imported to the USA in any significant quantities, and the seller supposes that there are fewer than a dozen of these things on the road in North America. However, there is an active owners club in the US and Canada that can help with sourcing parts. Power comes from a 1.5 liter 4-cylinder engine that puts out 53 horsepower into a 4 speed manual gearbox. The car isn't perfect, but it looks to be in good shape for a survivor classc. ~ Thanks kaibeezy. I have been successful posting images in the past but yesterday it fought with me. I don't understand well enough to figure it out, I guess. Run's like a sewing machine ! Really decent buy if not bondoed and earl schiebed. 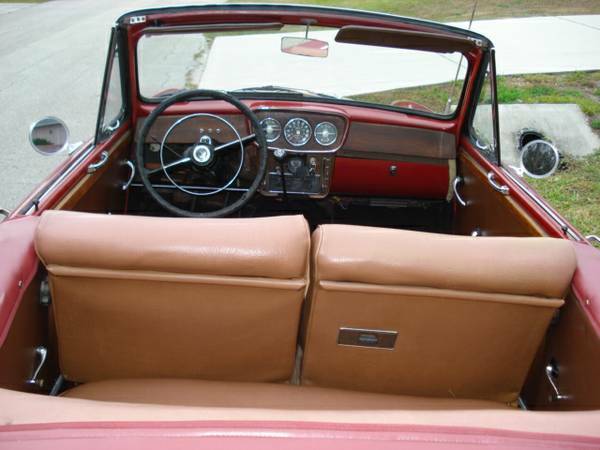 This era of small 4 seater Brit cars make for cool runabouts. JB1025: I won't needle you for writing such an obvious pun in this thread.